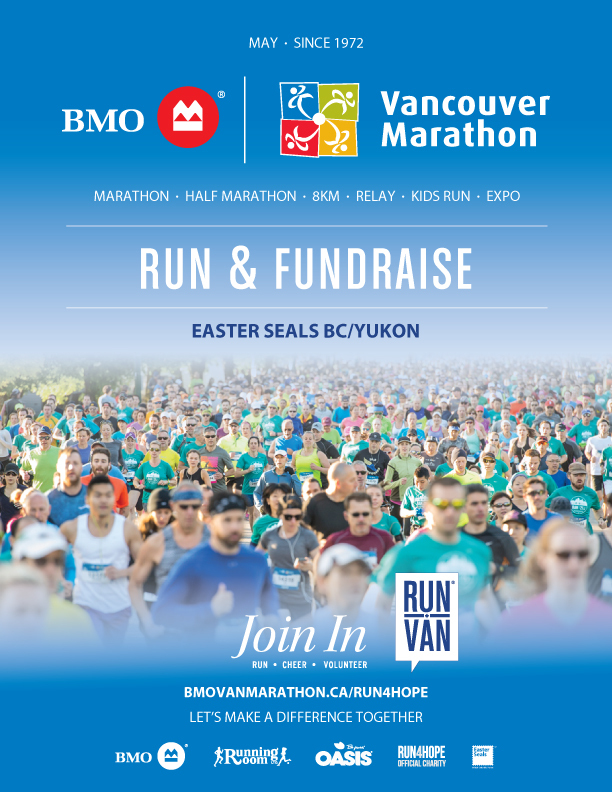 Easter Seals BC & Yukon is a Charity Partner of the BMO Vancouver Marathon. Sign up to volunteer and help out at the marathon on May 5th 2019. Exclusive BMO Vancouver Marathon Volunteer t-shirt! Camaraderie with a great, generous team! We welcome volunteers of all ages, however, children under the age of 18 years must have parental or guardian consent and be supervised by their parent, guardian or adult at all times while working together in the same role and area during the event.